Florida-born Sean Chambers began his career in the Blues back in 1998 when he toured with the legendary Hubert Sumlin as his guitarist and band leader until 2003. During Sean's tenure with Mr. Sumlin, Britain's own Guitarist magazine named Chambers as One of the Top 50 blues guitarists of the last century. 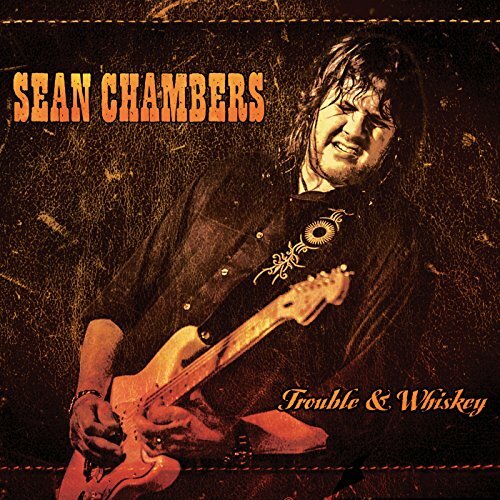 On March 17th 2017, Sean Chambers will release his newest album entitled Trouble & Whiskey on the American Showplace Music label. The album is produced by Ben Elliott who has recorded classic artists such as Eric Clapton, Keith Richards, Billy Gibbons, and Leslie West among others. The core band on the album, aside from Sean on lead vocals and lead guitar, includes Michael Hensley on Hammond B3 & keyboards, Todd Cook on bass and Kris Schnebelen on drums. Special guests include Jimmy Bennett on guitar on track #8, John Ginty on Hammond B3 on track #4, and Andrei Koribanics on percussion on tracks #1 and #7. Trouble & Whiskey marks the 6th release by Sean Chambers. The album is guitar driven and features 10 tracks, which include 7 new original Sean Chambers compositions, and 3 well chosen covers, including Bullfrog Blues by Rory Gallagher, Cut Off My Right Arm by Johnny Copeland and Be Careful With A Fool by Riley B. King/Joe Bihari. The album debuts on Billboard Blues Charts at #11.